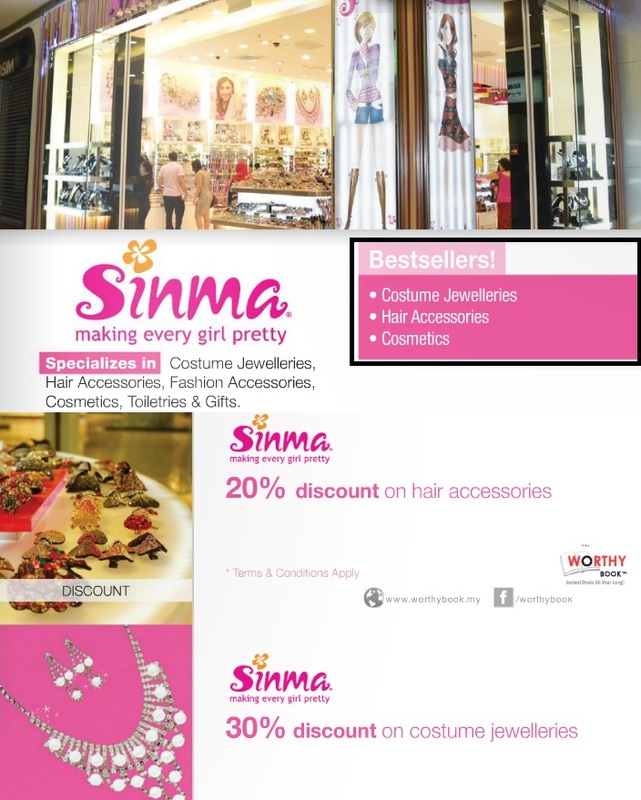 Courtesy to Worthy Book and Only Beauty, I got the latest version of Worthy Book comprising vouchers valid until 31 March 2014. Something different from the previous F&B Special Edition 2012-2013, now it is specially for ladies because it's all about BEAUTY! What is The Worthy Book? 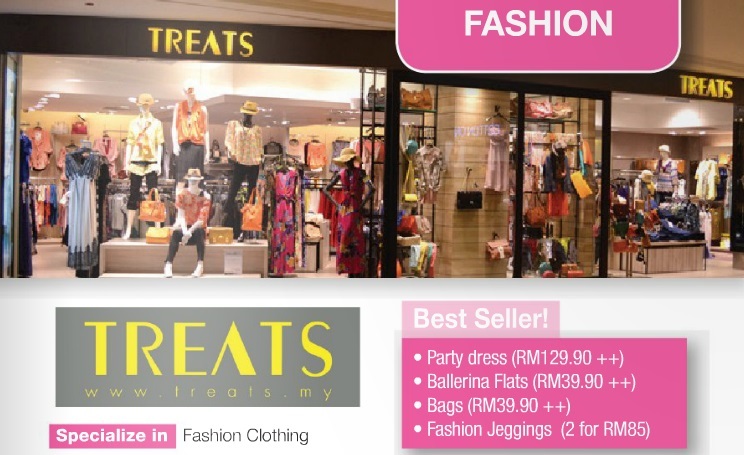 It is the book of wonders featuring over 30 popular fashion, health and beauty brands around Malaysia. Priced at only RM29.90, The Worthy Book is a steal for all the discounts and freebies you receive in return. 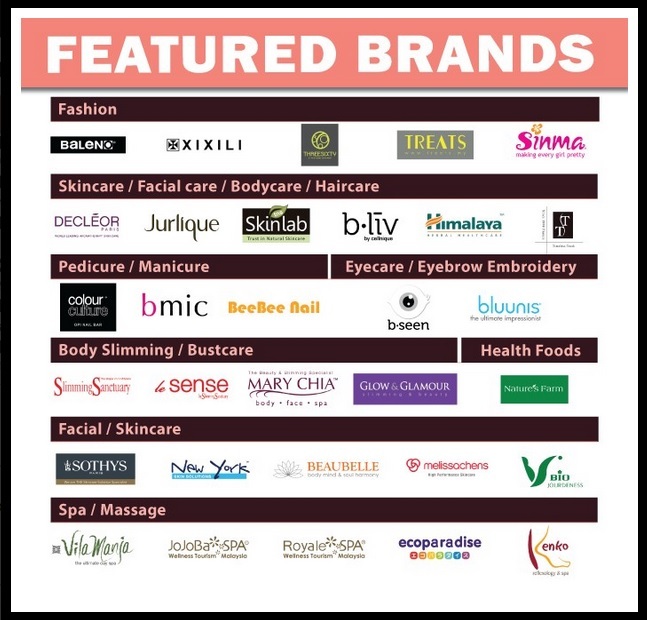 All the featured brands are easily available in Klang Valley. Worthy Book is a complete guide with editor reviews, containing a total of 112 fashion, health & beauty vouchers. Most of the vouchers are valid till the 31st March 2014, so I have one whole year to redeem and spend them away! 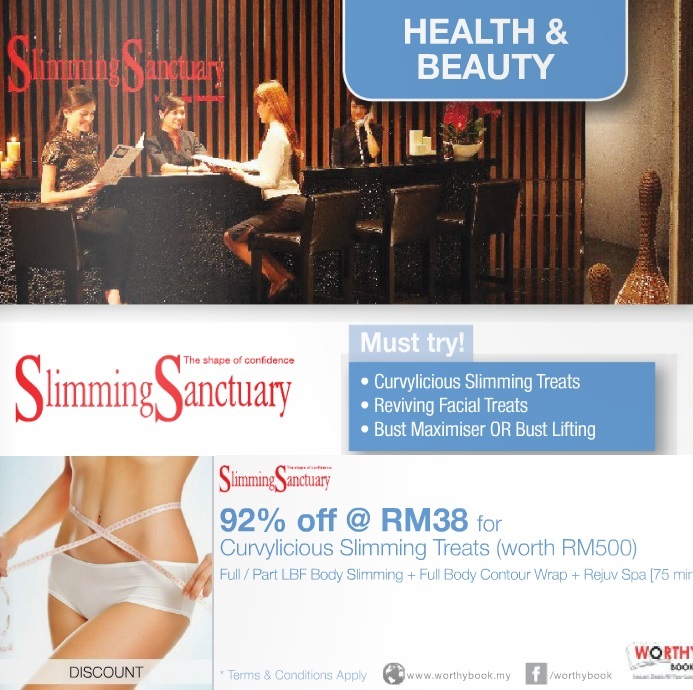 Discount Vouchers up to 92%! Timeless Truth --- One of my favourite beauty brand is here too! 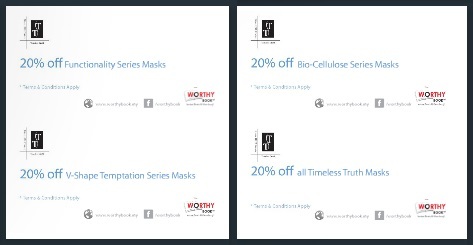 They have multiple 20% discount vouchers for different series of masks. And guess what I have gotten from there! Timeless Truth is my No.1 favourite brand for masks! The Ladies Edition of Worthy Book does not limit to only beauty! 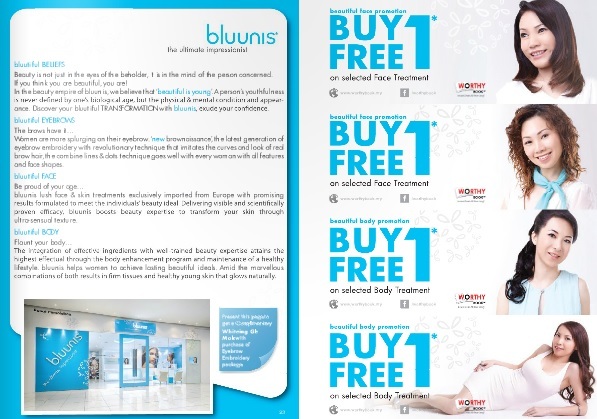 It has lots of shopping vouchers for famous fashion brands as well. How bout getting some jewellery too? GOOD NEWS FOR WORTHY BOOK FANS! 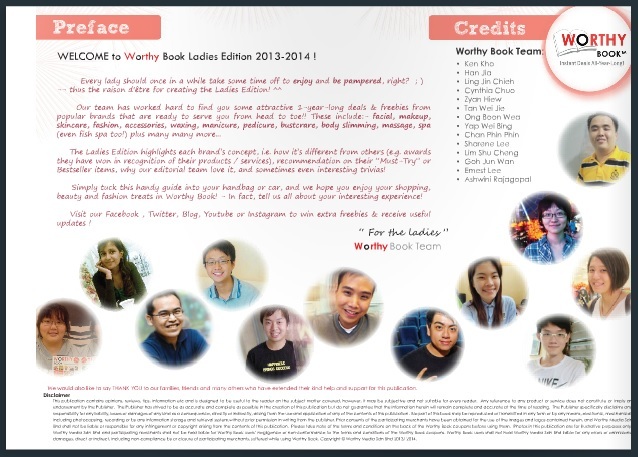 For those who have purchased a copy of Worthy Book, you can win 5 additional vouchers by taking a picture of yourself with Worthy Book and post it on Facebook. Easy-pessy! Alternatively, you may also win a RM10 cash voucher for the next purchase of Worthy Book!